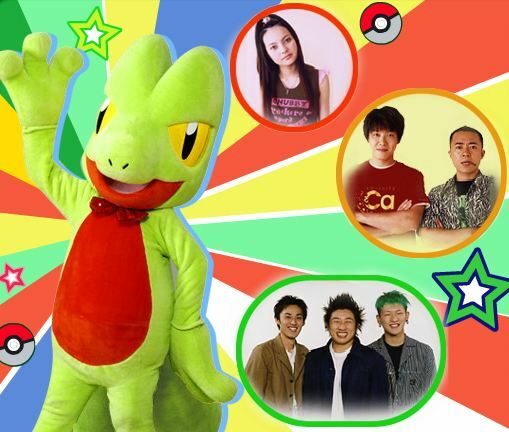 Pokémon Sunday (ポケモン☆サンデー) was variety show that was based around the Pokémon franchise. It featured the games, anime, movies as well as announce new information about the Pokémon franchise. The show aired in standard definition 4:3 for most of the series run. From October 2004 until September 2006, the show was only a half an hour and it generally rotated biweekly, airing a full live episode one week and then the next week it would air a Pokémon Revival ( ポケモンリサーチ！) anime episode. From October 2006 until September 2010, the show moved to a full hour time slot which included an anime episode repeat during the first half hour and then a live action segment for the second half hour. Some channels began airing a 30 minute abbreviated version of Pokémon Sunday later on in the week for those that missed the full episode on Sunday but it only included the live action segments. On Pokémon Sunday Episode #296, the series began broadcasting in High Definition. It also marked the first episode that a Pokémon Sunday anime repeat episode had a High Definition source. A few weeks prior in episode #285, the TV Tokyo 7 station transmission was set to High Definition but only the added pillarbox banners were in HD as the episode itself was still 4:3 SD episode till Episode #296. TIM group which includes: [Red Yoshida (レッド吉田) and Golgo Matsumoto (ゴルゴ松本)], Robert (ロバート) group which includes [Ryuuji Akiyama (秋山竜次), Hiroshi Yamamoto (山本博) and Hiroyuki Baba (馬場裕之)]. Becky was in the first two years of the show but was then replaced by Shoko Nakagawa (中川翔子) in the 3rd year. TIM, Robert and Shoko all moved on to Pokémon Smash after Pokémon Sunday ended its run. Assistant Chief Wobbuffet and Leader Kimori were the main character Pokémon from the first two seasons. With the reveal of the 4th generation, Director Lucario became the main character Pokémon from the 3rd year till the 7th year. Hikozaru and Yamirami made brief appearances throughout the later years of the series. Pokémon Revival (ポケモンリバイバル) - The Pokémon Revival segment featured a rerun anime episode. At the beginning of the series when the show was only 30 minutes long, the segment was almost the entire episode. It was later replace with the Pokémon Selection segment. Pokémon Selection (ポケモンセレクション) - The Pokémon Selection segment featured a rerun anime episode. It replaced the Pokémon Revival segment. Often times the rerun episode would be related to what was going on in the other segments of the shows. It is also often related to other aspects of the franchise that are going on around the same time that has some relevance. Professor Red almost always started the Selection episode by saying his "Poké we.. GO! (ポケウイ…ゴー!)" go-to line. Diamond & Pearl Returns (ダイヤモンド＆パールリターンズ) - The Diamond & Pearl Returns segment featured a rerun anime episode specifically from the Pocket Monsters Diamond and Pearl (ポケットモンスター ダイヤモンド＆パール) series almost exactly 2 years from the day it first aired. Pokémon Research! (ポケモンリサーチ！) - The Pokémon Research segment featured Robert on location researching a specific topic of the day. The topics would vary greatly but they tried to tie it into Pokémon despite how outlandish the topic of the day was. Pokémon Daisuki Project (ポケモンだいすきプロジェクト) - This is the main segment of the show that takes place after the anime rerun episode. This segment started in the second half of 2006 and often featured Robert going out into the field to conduct a video recording. Sometimes the Project would be released to things happening in the Pokémon community at the time. Diamond・Pearl Project (ダイヤモンド・パールプロジェクト) - This was the final segment of the episode during the early DP days and it's where all the DP-related stuff took place. It initially started out as a segment where the hosts played through the game and showed bits and pieces of it but it then mostly turned into battles with viewers. Occasionally the segment had event announcements and promotions. This page has been viewed 6683 times.